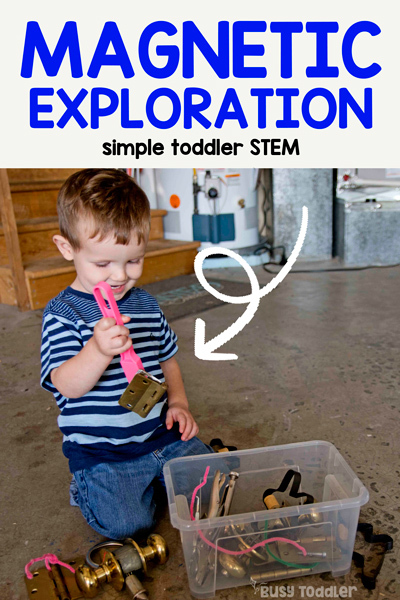 Toddlers love STEM – let them play with this magnetic exploration activity! 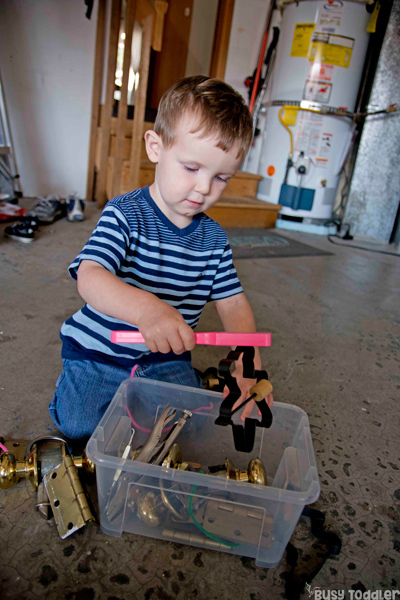 Magnets are little pieces of toddler magic. Think about it: an unassuming object can MAGICALLY lift and attach to other objects. MAGIC. It’s magic. 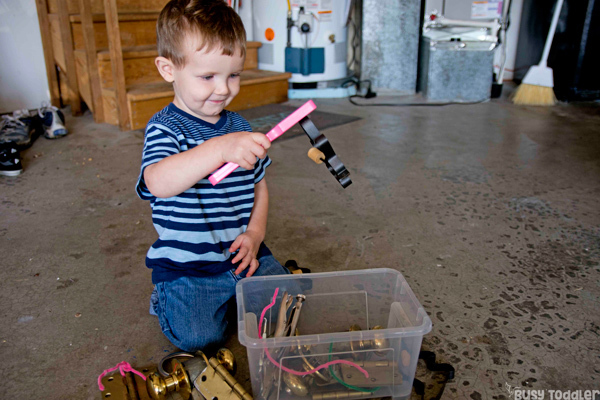 And you can easily introduce this magic with a magnetic exploration bin. Magnet activities are the best! 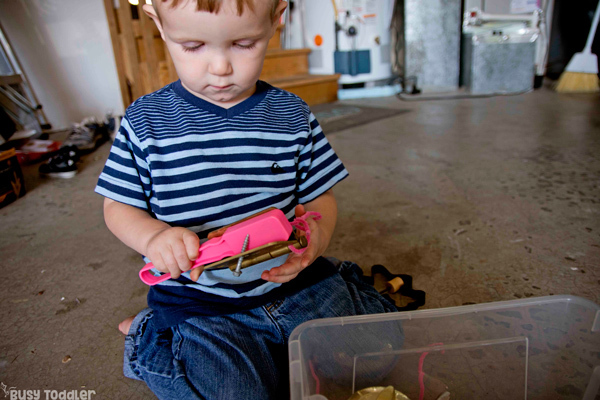 We’ve used magnets in sensory bins, sorting activities, and even to fish with. Magnets are an awesome teaching tool! How do you introduce magnets? By showing them! By using them! By working with them! Toddlers can feel magnets. It makes them the concept instantly tangible and understandable. 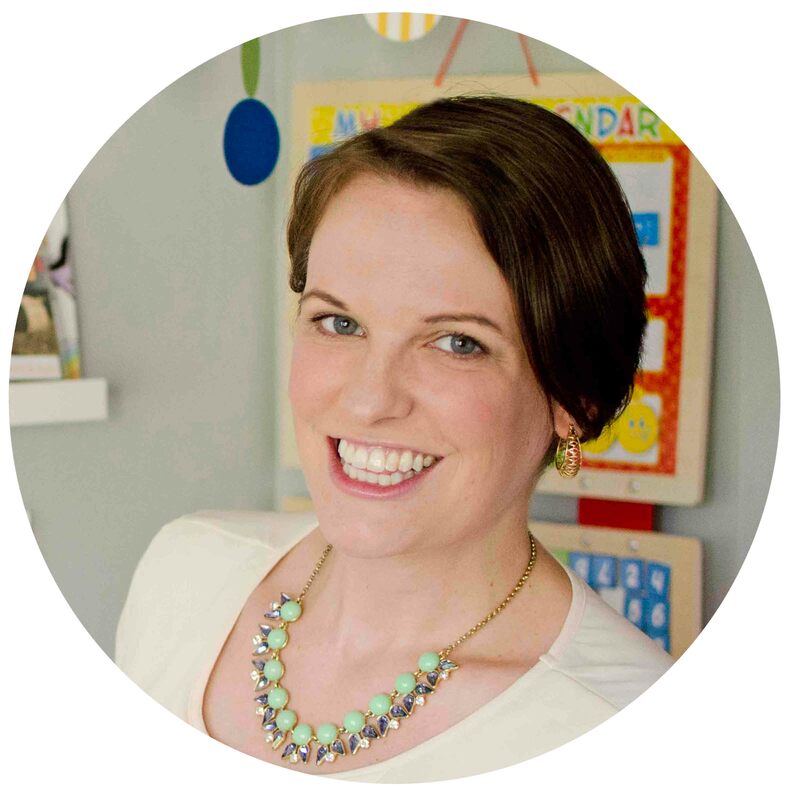 Magnetism isn’t something you can just talk about – but even my kids at 20 months old could identify when something was or was NOT magnetic. That’s incredible, right?! That’s magnetism. It’s amazing and so, so tangible. 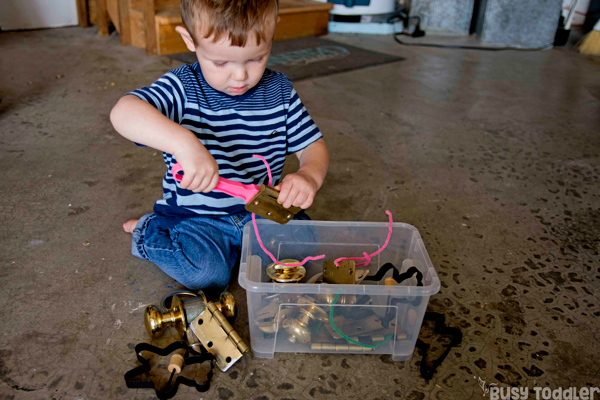 How do you make a magnetic exploration bin? Just search the house for items that are magnetic – I always joke that this is a fun guessing game for me because I’m not always right. 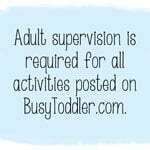 I love this part of the activity. A lot of the items I come up with are from the garage…there’s a treasure trove of trinkets just waiting to be explored in there. I love our magnetic wands. They were a “splurge” item that I bought in 2015 and I haven’t regretted it ever. They come as a six-pack and make a great birthday present topper if you don’t want to keep all six. 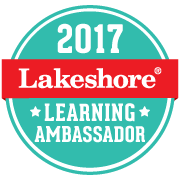 You can also buy a magnet at a local hardware store. I’ve owned lots of them and they are great for toddlers. Again, make sure to choose a magnet that is NOT a choking hazard. There isn’t a preset order or expectation with this activity. 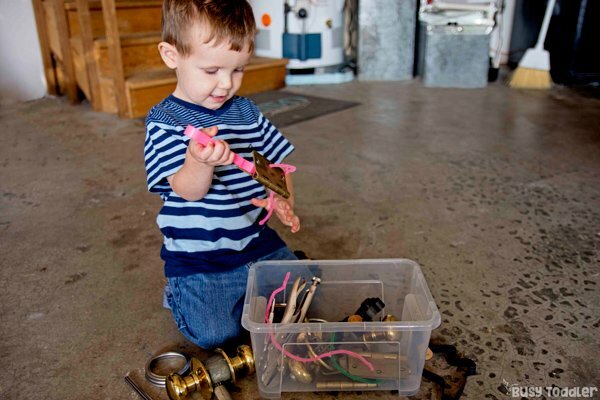 The idea is just to let the toddler freely explore magnetic properties, to have time to immerse themselves in what it means to be magnetic, and learn. I keep this magnetic exploration bin out and ready to go at any moment for my toddler. 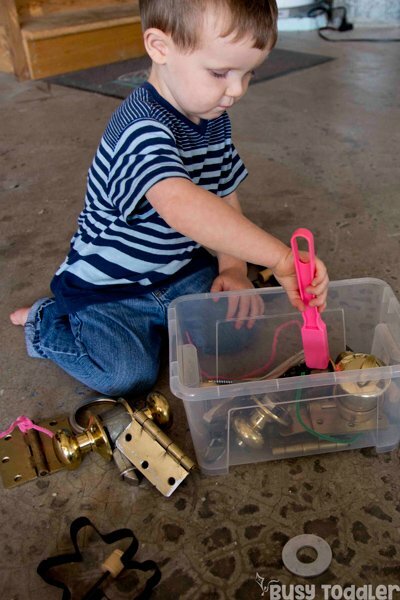 He loves playing with it, and then wandering around the house looking for more magnetic objects. It’s a quick and easy activity to always have on hand. …but a good one, and one that is filled with some much engagement and learning. It’s amazing what our kids can learn on their own if left to just explore on their own. 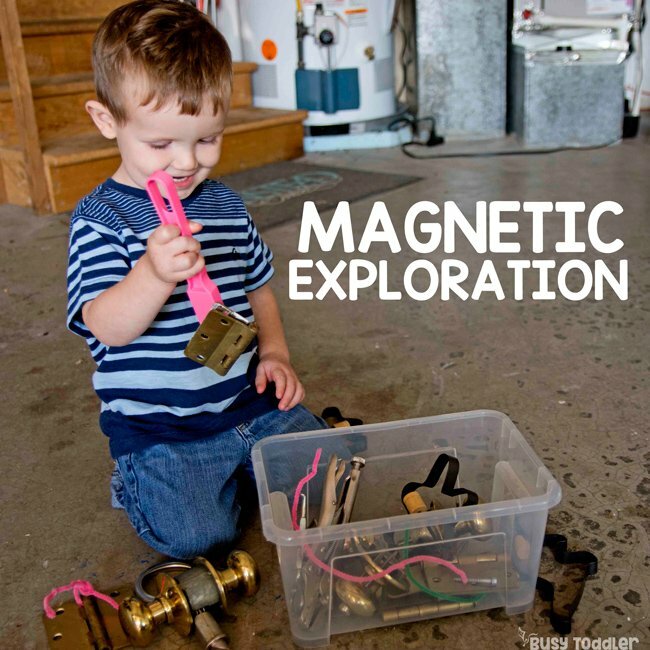 That’s why I love this magnetic exploration bin – so much learning and all on their terms. 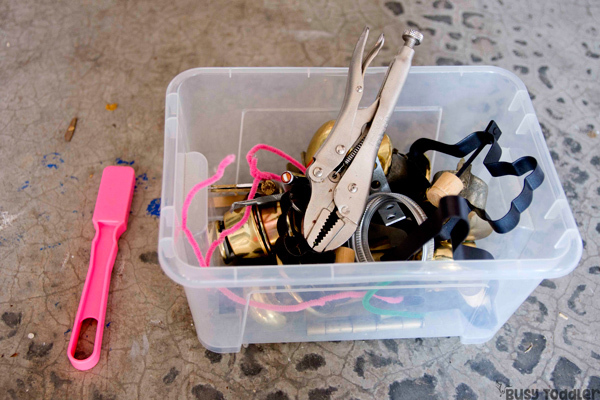 Will you make a magnetic exploration bin?